EURUSD, EURGBP, EURCHF, EURAUD, EURCAD, EURJPY and EURNZD. Analyzing overbought/oversold states of these pairs relative to each other, we can define the most overbought or oversold pair for the entire cluster. For traders this means, first of all, possibilities to increase profits. Second, we will get less loss on the pair, at which the position has been opened, in case of the market reversal. The second method of analyzing this indicator is enabling the option FixDay=true. The combined RSI value of all currencies is fixed at the beginning of a day. This will be their zero point till the end of the current day. 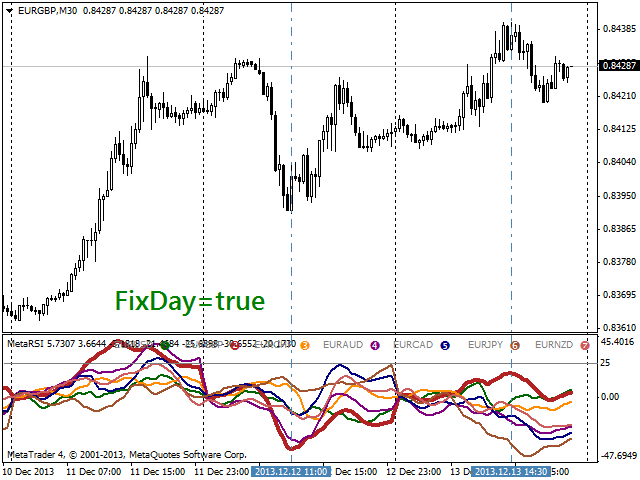 It is better to apply FixDay=true mode for lesser time frames in intraday trading. 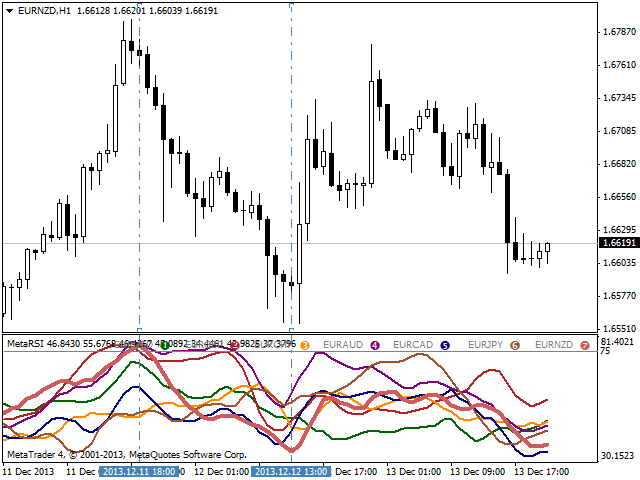 Smoothing the RSI "noise" is also provided in the indicator in the form of Smooth parameter. 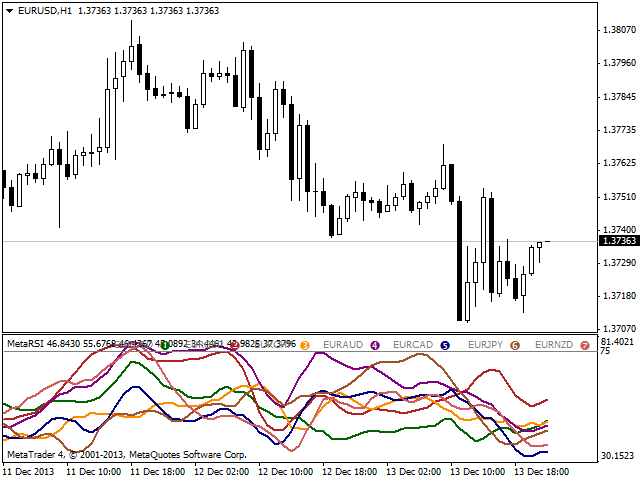 Thus, using MultiRSI indicator allows you to identify the most suitable currencies and the best market entry points.